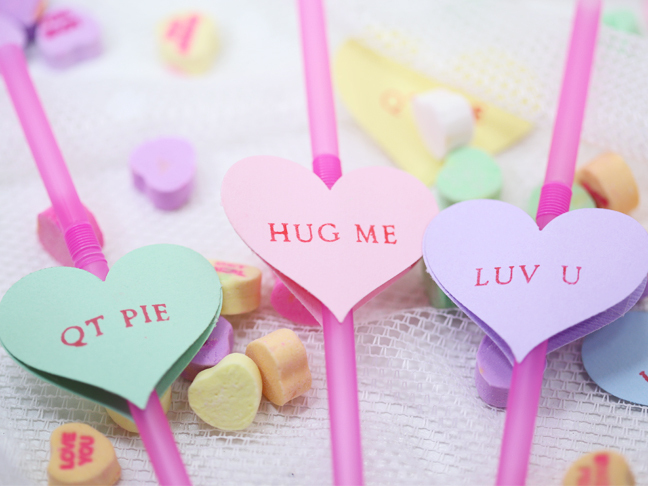 Fancy up your kiddos’ Valentine’s Day drinks with some conversation heart inspired straw toppers. 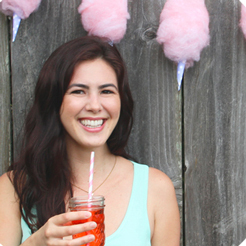 These pretty party accessories are quick and easy to make, and you can customize them to say anything you like! 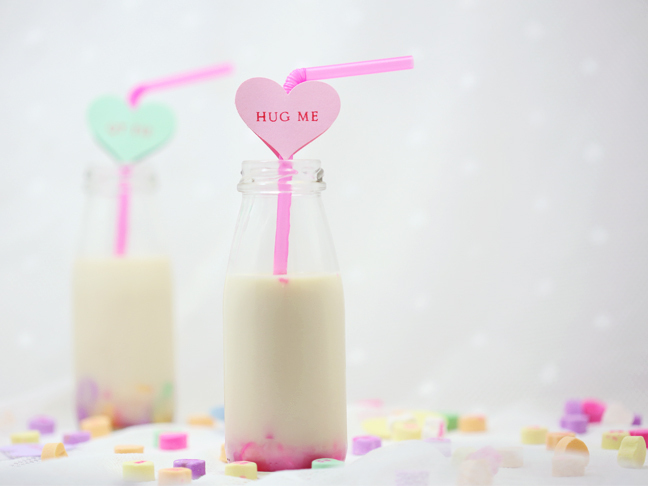 Plunk these Valentine’s Day straws into bottles of candy-heart-infused milk (just place a few candies in the bottom of the milk bottle or glass) for an extra sweet treat. 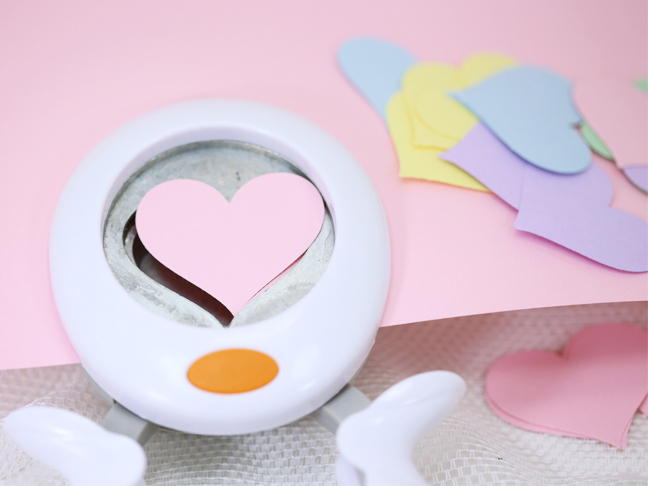 Step 1: Use a heart-shaped paper punch to cut hearts from your pastel card stock. You’ll need two per straw (plus some extra, in case of stamping errors). Step 3: Place a strip of double-sided tape on one side of a blank heart and another strip on the blank side of a stamped heart of the same color. 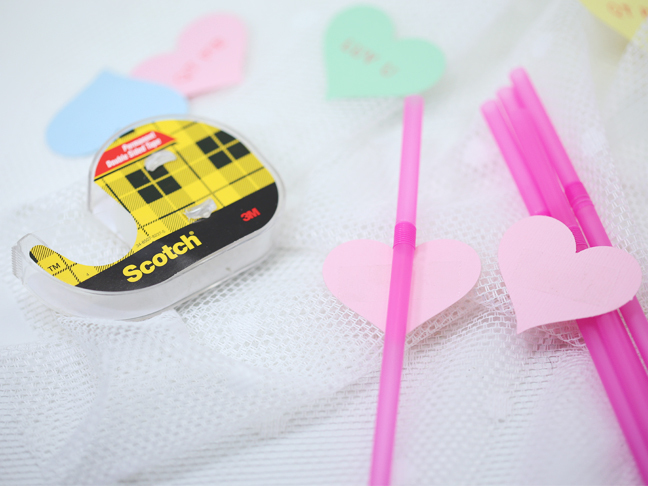 Step 4: Place a straw over the tape on the blank heart, just below the bendy part. Step 5: Place the tape side of the stamped heart on top of the straw and press the edges of the two hearts together to seal the edges.